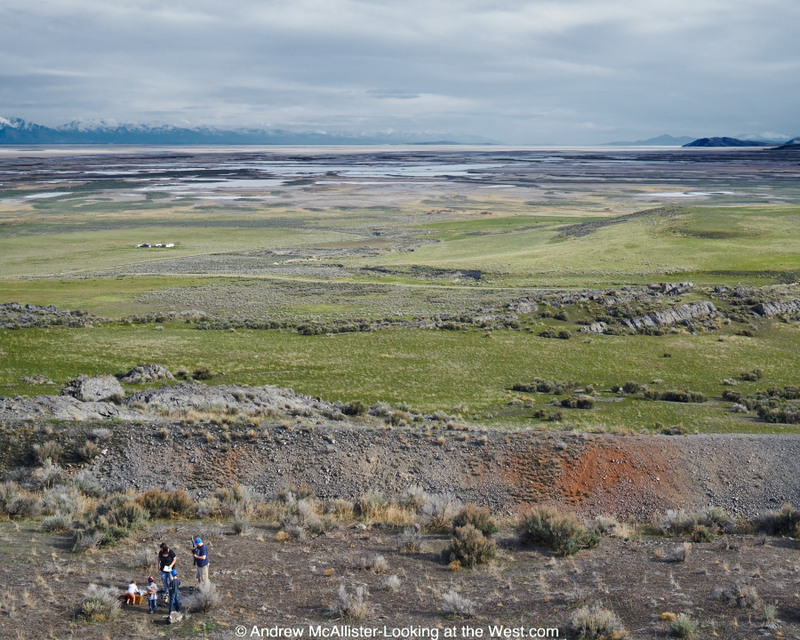 Just over an hour away from Logan Utah and on the way to the Spiral Jetty is The Golden Spike National Historic Site. Usually I’m bringing friends out to the Jetty and we pass by much of what the site has to offer and just stop at the visitor center. This past trip was a bit different as my passengers were meeting me at the center and I would have some time alone to get off the main road and photograph along the East Grade Auto Tour. It was amazingly still and the only sound to be heard was that of a cow off in the distance. That changed with the unmistakeable sound of small caliber gunfire, and close too. Above and below: Looking East from the Central Pacific Grade on a beautiful spring evening. 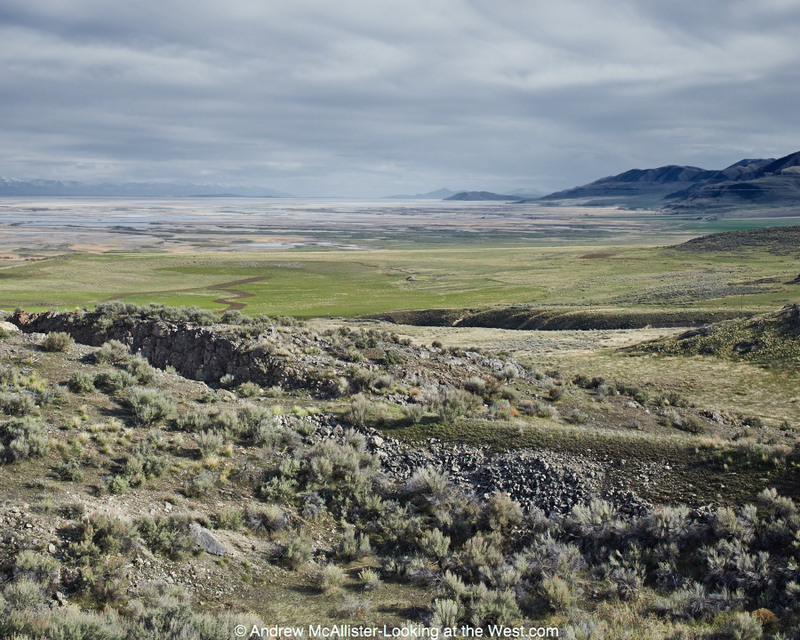 The landscape of Promontory is unforgiving and it is that aspect along with it’s austere beauty that attracts me. On a previous visit the wind was so fierce that one could hardly stand outside of the car, it’s no wonder few people live here. Take a moment and consider that these rail cuts were made by men with hand tools. 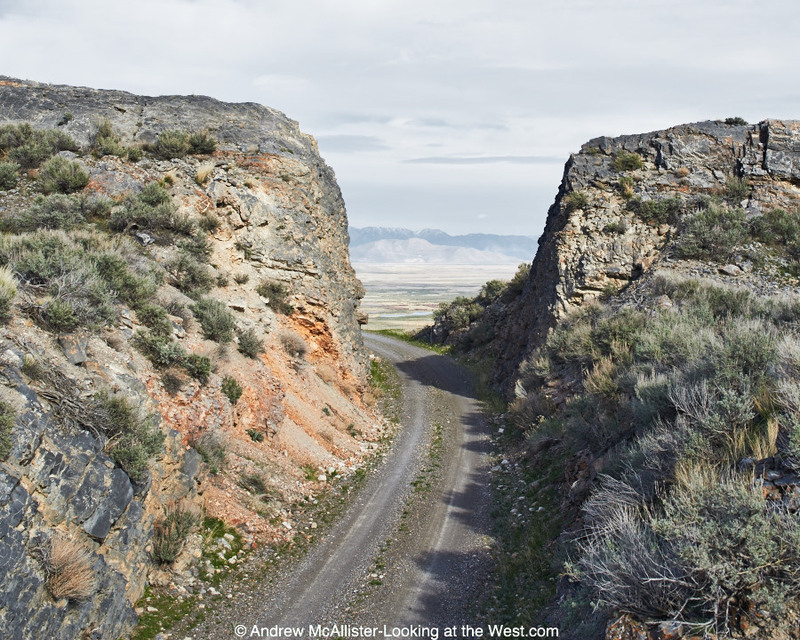 Looking east through the cut toward Brigham City and the Wellsville Mountains. It was at this point I heard the gunfire and thought that it sounded pretty close. After returning to my car that was parked on the road I went through the cut and there I found the family using the Golden Spike Historic Site as their personal shooting range. As a reminder “Firearms may not be discharged in this national park or along the scenic drive and should not be used as a wildlife protection strategy”. Say what you will about firearms the thing that gets me is the attitudes of “it does not apply to me” or “I’m in the middle of nowhere so who cares”, in this case there are multiple public shooting ranges with in view of this location. Promontory has a lot to offer if you have the patience to travel there and empathy for what you will discover. 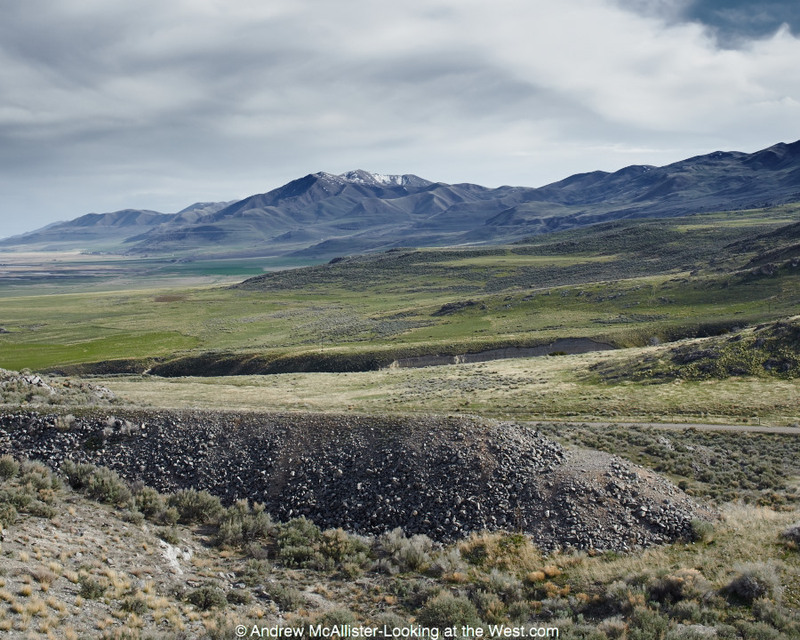 On this day I was pressed for time and had to get back to Cache Valley but I will no doubt return and continue to photograph the landscape around the Golden Spike National Historic Site in the near future. Images and text © Andrew McAllister-Looking at the West.